Internet of Things (IoT) should not sound unfamiliar. You might have come across it when searching for common items such as smart toothbrushes and internet fridges. However, IoT is more than that. It might turn everything into data collecting objects. It refers to any internet connected device that can gather data such as weather, the number of passengers in a train, length, and soil temperature. The following is a list of some top best internet of things gadgets you should try in 2017. 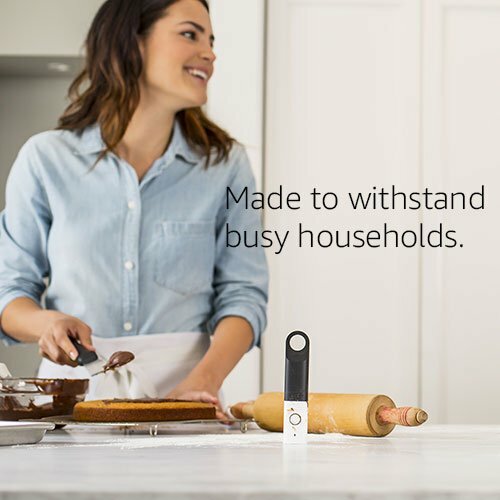 The Amazon Dash Wand is the newest item that Amazon has added to their product list. It is a hand-held device which features a microphone, a barcode scanner and a speaker. You can use this product, which is Alexa powered, to automatically add items to your Amazon cart by scanning the barcode. Just like the other Dash products Amazon supplies, this product is technically free. To order the product, you will need $20. However, you will get $20 off the next eligible purchase on the site (after the Dash Wand’s registration). In other words, if you are planning to buy other items from Amazon, or using the Dash Wand, you will receive your money back at the end. The product has no rechargeable battery. The manufacturer supplies it with two AAA batteries. Even though the batteries will not last for long, you will be able to interact with skills, convert units and answer questions. The product can also control smart home devices that are Alexa compatible. Therefore, you will use it to lock doors, turn your lights on and set your home temperature. You just need to long press the button and say what you want the device to do. The manufacturer has designed it as one of the quality grocery scanners. And because it should hang in your kitchen, they included a magnetic area on its backside to allow sticking on refrigerators or metal surfaces. Even though it is more ideal for individuals who want to scan groceries, you can scan almost anything. Even more, you should not necessarily live in areas where AmazonFresh is readily available to benefit from the product. Immediately you scan a barcode of your favorite deodorant, the product will automatically add it into your cart. If you require a quality smart pillow that will help you sleep comfortably throughout the night you might need the Zeeq Smart Pillow. 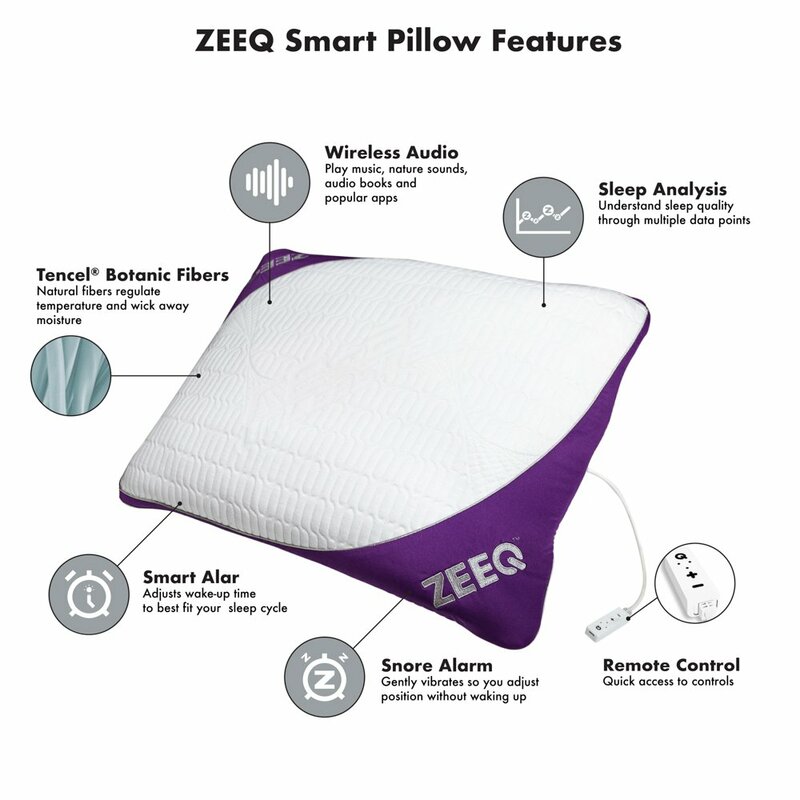 The manufacturer supplies the pillow with Zeeq App which complements its functioning. The REM-Fit invention will effectively track your sleeping patterns and relay them to you via the app immediately you wake up. What’s more, the product is ideal for individuals with snoring problems. Actually, it guarantees peaceful sleep for at least eight hours (the recommended time for fully functioning bodies) every sleep session. You can buy the product today from online stores for only $149. If you need the couple’s kit that boasts two pillows, you should be ready to spend $289. Fundamentally, the Zeeq Smart Pillow monitors ones sleep using inbuilt microphones. The microphones vibrate more immediately the user starts snoring louder than usual. The rhythmic vibrations influence the snoring person to change position therefore inhibiting and alleviating the snoring. The vibrations also function like an alarm and will wake you gradually from your sleep. The pillows are available in many forms and densities to allow more comfort that resembles that of ordinary pillows. The pillow sports small microphones which will detect your sleep patterns. What’s more, it features three –axis gyroscope and eight speakers. The inbuilt music system enables the users to play soothing music that can help trigger sleep. The manufacturer also included a sleep timer that you can set to fade the soothing music as you get into dream-world until you are completely asleep. You can play music through the integrated Bluetooth speakers. Lastly, the 5000mAh battery is USB powered. To start using the pillow, ensure that it has enough charge that can last for eight hours. Use the Zeeq app to customize the pillow’s track list. Alternatively, you can rely on the inbuilt music tracks. 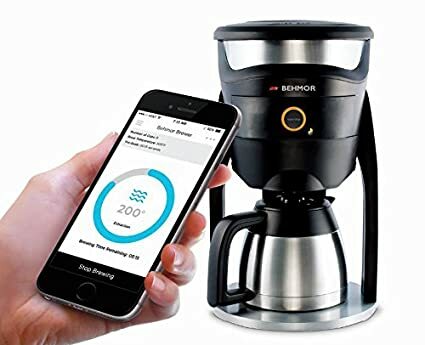 Unlike many other coffee makers in the market, the producer has engineered the Behmor Connected Temperature Control Coffee Maker to guarantee terrific cups of coffee. The product comes with an application that helps the user adjust the brewing parameters easily. The pulsed water flow and the oversized showerhead extract coffee grounds to the full. The result will be coffee brewed to the greatest flavor-fruity, floral, chocolaty and body. Differently put, you will enjoy quality coffee at your home. With the Behmor Connected Temperature Control Coffee Maker, you can set the brewer’s temperature between 190F and 210F. To get the best brewed coffee, you should mind about the water temperature. Set it somewhere between 195F and 205F. For better results, you should presoak youR coffee grounds for 4 minutes. The small water added to the beans prior to brewing facilitates blooming of the coffee and triggers the extraction process. It is particularly important for the freshly grounded beans. For even better coffee, you can saturate your grounded coffee. Some products use oversized shower heads. They also pulse brew water to make turbulence in the grounds bed to saturate them. The Behmor app facilitate Delayed Brew which heats water but delays the brewing of the freshly ground beans. Delta Five is a technology innovator of automation, robotics and unattended sensors. This time, they have rolled out the Automated Insect Monitoring System – the first 24/7 safe Wi-Fi enabled bed bug solution – suitable for single and multi-family properties, hotels, assisted living facilities, waiting rooms, call centers and cruise ships. 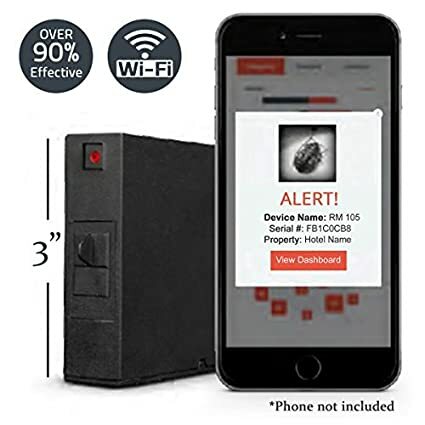 The discreet and compact Automated Insect Monitoring System offers unexampled early detection of insects including bed bugs and store-room and bedroom insects and bed bugs. In fact, bed bug infestation and litigation has increased recently mainly because they have adapted and are now immune to most pesticides. Bed bugs are also effective hitchhikers, survive climatic extremes, they reproduce faster and can live for several months without any food – the human blood. The Delta Five Bed Bug Monitoring System will catch pests earlier and therefore helps you avoid an infestation. In other words, you will save money, time and reputation. What’s more, the product is environmentally safe and reduces reliance on pesticides. This compact product attaches easily to surfaces and offers remote 24/7 monitoring with the real-time notifications. Its all-natural odorless lure attracts more bedbugs and insects while the internal cameras notice them and activates the traps. The Wi-Fi enabled system will notify you immediately through SMS or email. 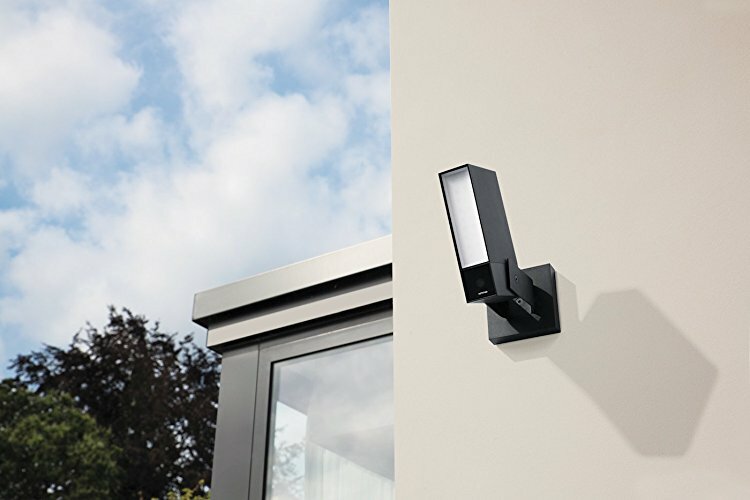 The Netatmo Presence Camera is an outdoor cam that will detect cars, people and animals (including rogue dogs and Mike Tysons’s tiger) and report its findings to your Android iOS device via the Netatmo Security application with the loitering offender footage. 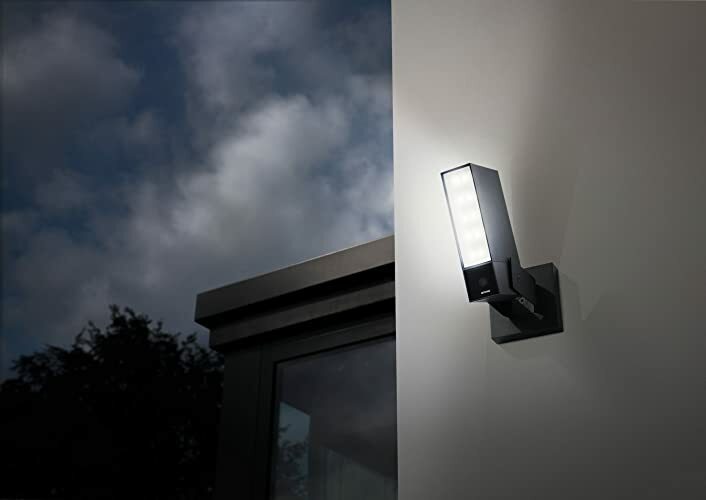 Replace all existing outdoor lights with this device and use it for the purpose. Depending on your needs, you can either use it as a camera or outdoor light. Switch wires over ensuring that the product is within the Wi-Fi range. And if you do not have existing outdoor lights, you will need mains electrical wires running outside. Most likely, you will have to rely on an electrician. After the setup process, which is seemingly risky, you will start using the superlative spy. The auto-detection features function brilliantly and picks up all motions and informs you through the phone app whether it has identified an animal or person. Use the application to make alert zones particularly, if you do not want to constantly survey all parts of your garden. Even more, you can scroll to see all things that the camera has detected. You will view footages at will, including live views. People are always learning more about the internet. With manufacturers releasing more best internet of things gadgets from time to time, you will never miss a new gadget. The above are a few quality products to consider in 2017.